Guayusa: a rainforest tea with so much potential. It started one morning in the Amazon, when college student Tyler Gage first tasted the super energy drink guayusa. Back at school, he and his best friend, Dan MacCombie, put together a business plan for a sustainable company, and Runa was born. Dan shares their story and that of the 2,220 indigenous farming families they work with in Ecuador. Runa produces products and beverages based on guayusa (gwhy-you-sa), a superleaf found in the Amazon rainforest that balances as much caffeine as coffee with twice the antioxidants of green tea. Guayusa, which powers all of Runa's beverages, provides clean energy without the tannins found in green and black teas, so it's naturally smooth and sweet. 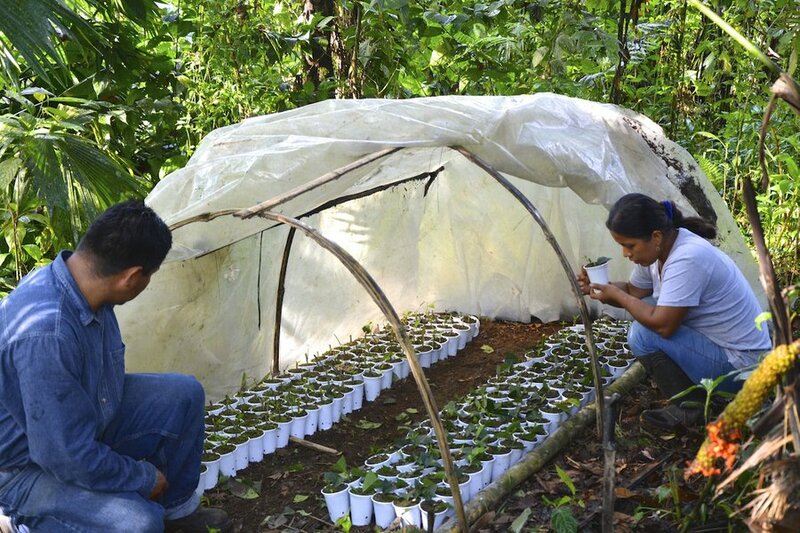 We work directly with indigenous Kichwa farmers to help create sustainable livelihoods. In our work and travels in South America, my business partner and best friend Tyler Gage and I were deeply struck by the tough trade-offs indigenous communities face. While they want to preserve their cultural heritage and protect their environment, they also have an immediate need to earn cash and feed their families in an increasingly globalized world. 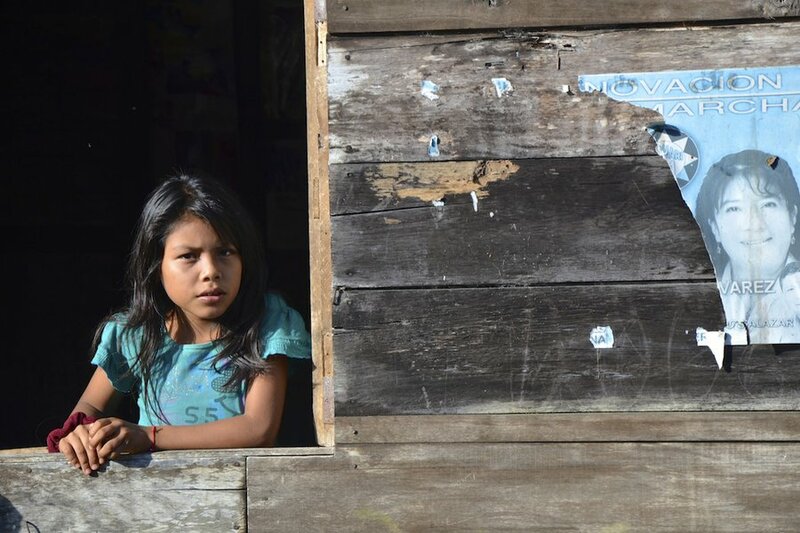 In our travels in Ecuador and Peru, we were both struck by the stark choice communities are forced to make between their values and their immediate economic needs. This sometimes meant cutting down trees to buy food, medicine, and clothing for their kids. When Tyler first tasted guayusa in the early morning hours of the rainforest dawn, he realized there was so much potential to share that leaf with the world. These thoughts were swirling in our minds when we got back together at college in an entrepreneurship class. The business plan for Runa sprang from this. We started Runa directly out of college. Tyler had worked with indigenous communities in Peru studying their plant and storytelling traditions. I had worked in biology labs and in the climate change program at the Clinton Foundation. 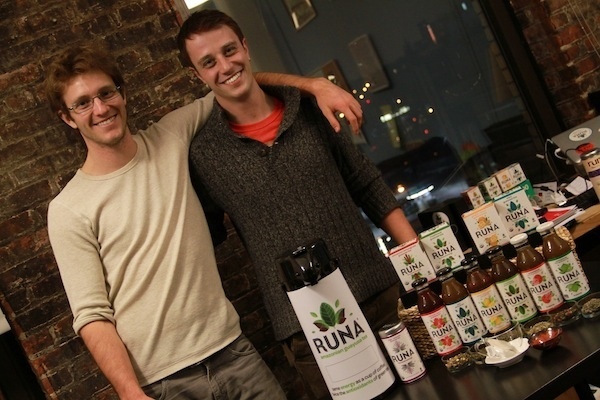 Dan and Tyler with Runa drinks. 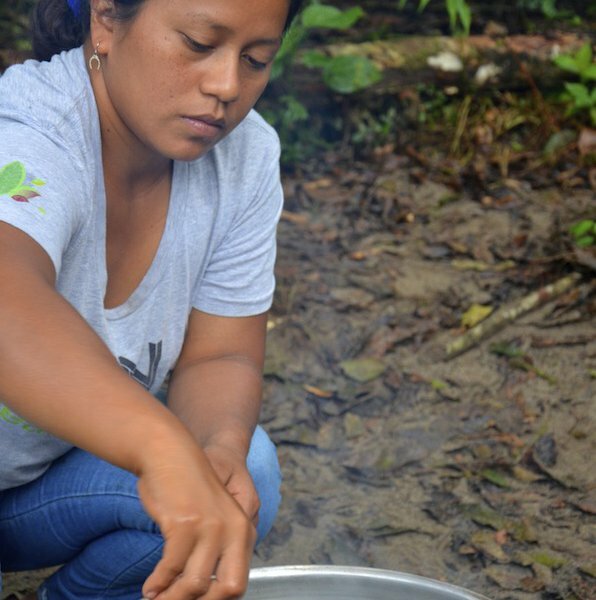 We work with 2,200 indigenous farming families in the Ecuadorian Amazon who would otherwise work harvesting highly cyclical crops or in low-wage service jobs. 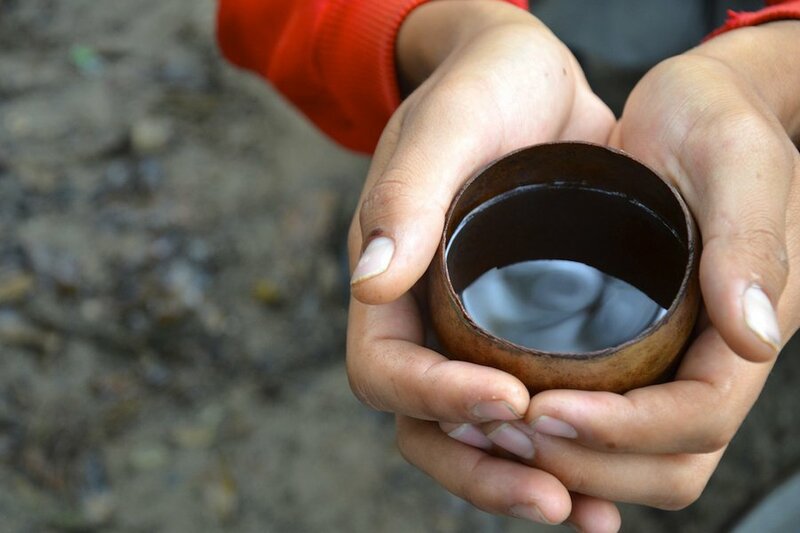 We employ more than 40 people, proving that sustainable, high-impact businesses in the Amazon can support producers and connect consumers to ancient traditions. Did you have any personal connections to Ecuador or its people before Runa? 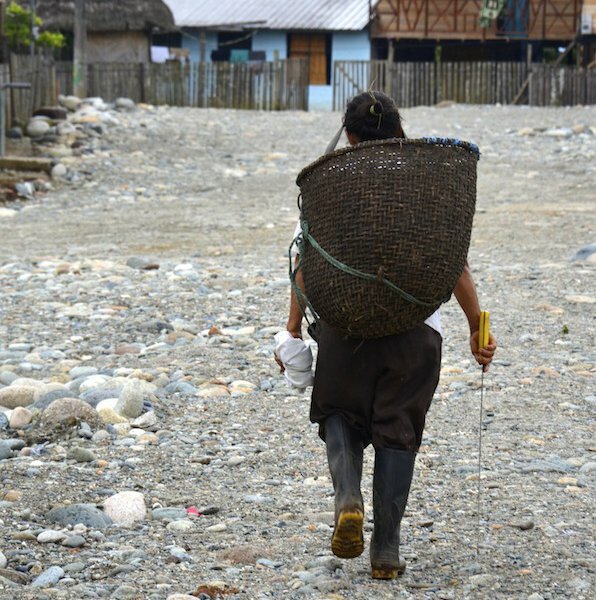 I had traveled in Ecuador during my semester off from college and spent time visiting and volunteering with the same communities we work with today. While I didn't get to try guayusa then, I was blown away by the people's spirits, the rich culture, and the pure majesty of the landscape. A Runa employee, Sandra, harvesting guayusa. Expectations. People often expect that gringos are either there to rip them off, act like they know better, or behave in totally ignorant ways. That's reasonable, given that this happens a lot. But we try to show that we mean what we say, we say what we mean, we'll be respectful, and we'll follow through. When I first got there, I got thrown by the use of the phrase siga no mas. Literally, it means "follow no more," but it actually has many different meanings, like "go ahead," "good idea," and "of course." I gave up trying to use it correctly a long time ago, even after living there. How often do you go to Ecuador? I go to Ecuador one to three times per year. I lived there for eight months when we started the company, and Tyler lived there for another fourteen months while I went back to the United States to start up our operations there. 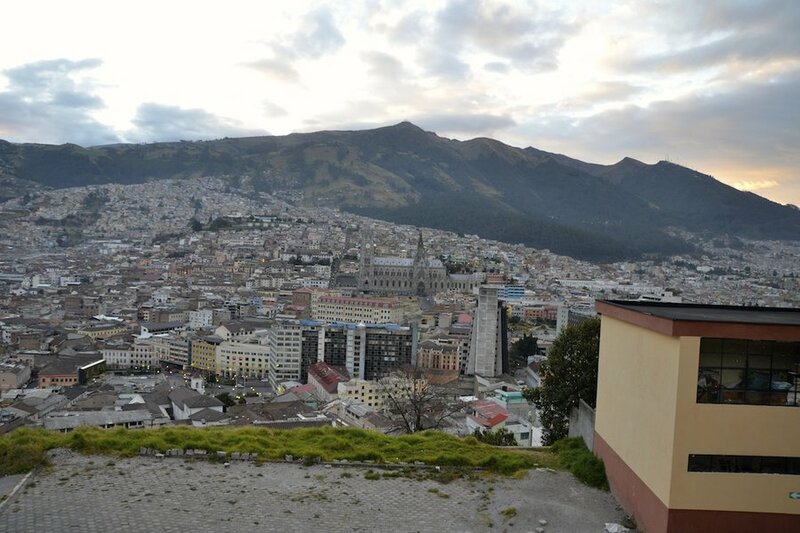 What are your three favorite things to do and see in Ecuador? First and foremost, I love the landscape. The trip over the mountains from Quito to Napo province, where we work, takes you through highland páramo (similar to moors), deep valleys with epic waterfalls, and down to a gorgeous landscape of rainforest-flanked mountains and broad valleys. 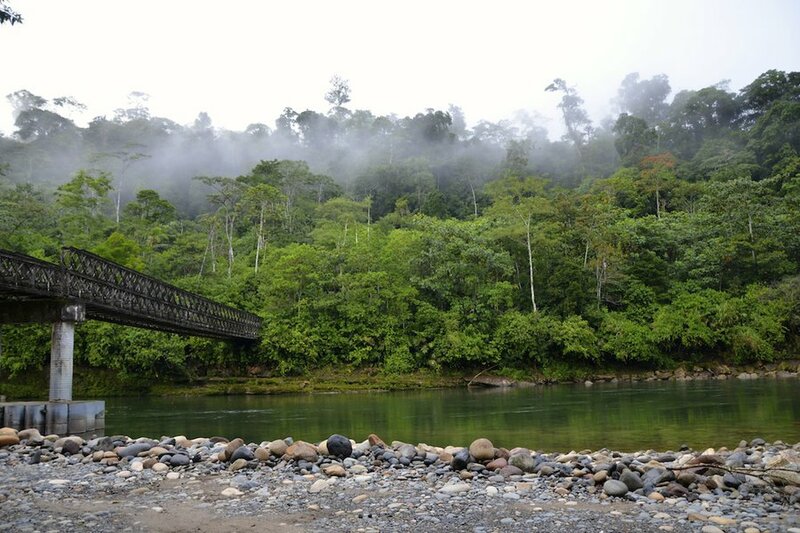 There's one place near where we work in Napo that I consider magical. It has a swimming pool where a jungle stream meets a wide river coming from the mountains, called Cando. You can jump off the rocks, hike up the stream, bathe under a waterfall, sun yourself on the rocks in the river, and just marvel at the fact that it exists at all. Finally, I'm a sucker for the jewelry made in the communities we work with. Although I'm not a big jewelry wearer, the necklaces, bracelets, and earrings are made from these beautiful, colorful, and durable Amazonian seeds that are both natural and stylish. They're amazing gifts. Tell us a favorite moment from one of your trips. When we were first working in the area, we were invited by one of the communities we became close with to join them for Carnival. This isn't the same Carnival as those in Brazil or Trinidad — it's more like a family reunion, with communities coming together to cook a big meal, gather around a fire, hang out, and listen to music. We went down to visit the community of our friend, Charim, who graciously invited us. 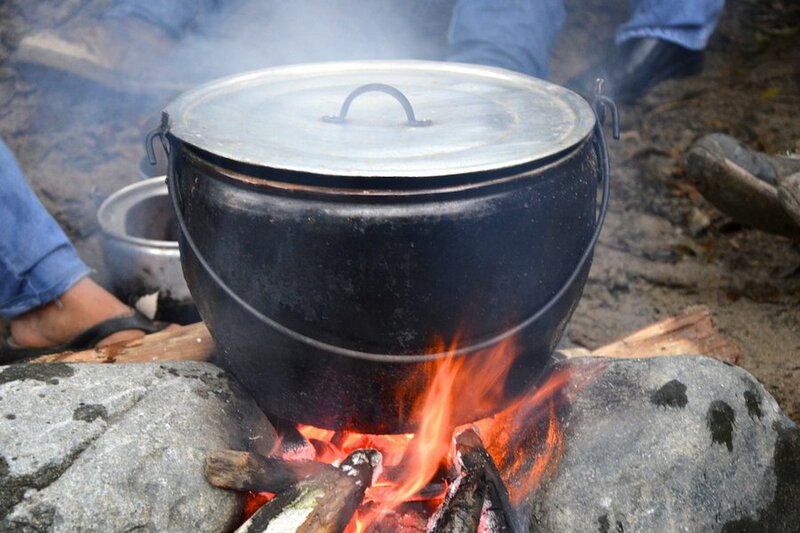 They were cooking a whole pig — a rare and special treat for them. When we showed up, Charim came out from his traditional, thatched-roof house to greet us. He had pig entrails he'd just pulled out in one hand, and a cell phone between his shoulder and his ear. When someone asks me about my opinions on international development, this is the first image that comes to mind. One of our original inspirations was what we saw as the failure of the charity model in the region. I am not at all against the concept of charity, but it's often not the best model. I saw many instances of failed projects, where a well-intentioned international development agency came in, built some stuff, and then left — with no buy-in and little long-term support. That left communities disappointed and disenchanted. We wanted to create a strong and long-term connection to the market that could be an outlet and sustainable source of income. A lot of people also come down to Ecuador thinking they'll change the world by "helping" a community in need. While I totally respect that intention, it often has less impact than people hope and sometimes even has a negative impact. I really go out of my way to encourage people to think about how they can support something people are really asking for, rather than come in with preconceived notions of what people need. The biggest gift one can give is an open mind and a listening ear. These communities are strong and have many things to teach and share. I don't want to "help" in the stereotypical sense. I want to build a partnership, share a connection, and support communities in the ways they want. Where the traditional tea ceremony takes place. I travel a lot to all sorts of places for work. In the next few months, I'll be going to Atlanta, Baltimore, Asheville, Austin, and a bunch of other great cities that I love exploring. 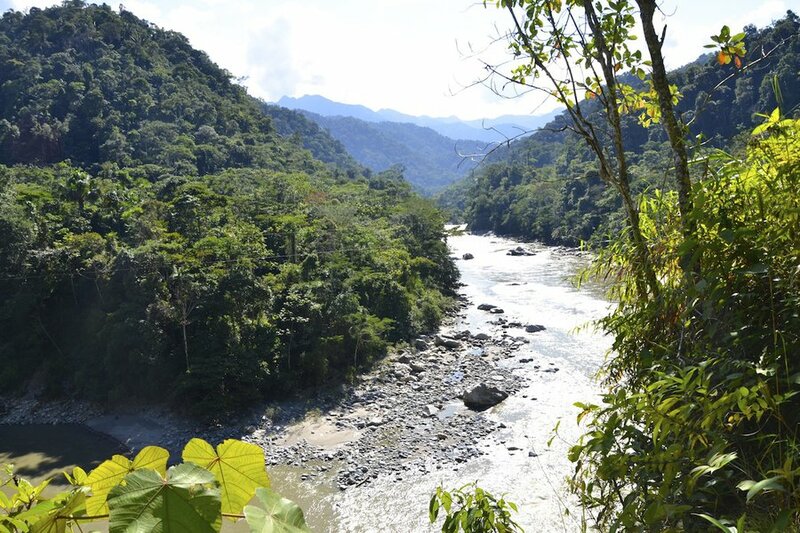 Personally, I'm really looking forward to my next trip to Ecuador in October, where in addition to showing our board, partners, and some of our team around, I'll get to do go hiking and see other parts of the country that I have yet to explore. Our dream? To be as well known as Red Bull or Honest Tea. 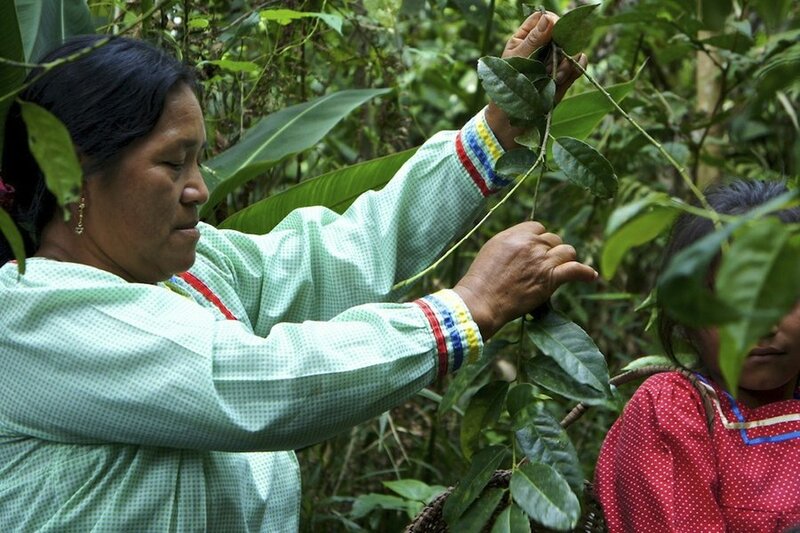 More importantly, though, our biggest goal is to drive sustainable livelihoods to communities through Amazonian products that are enjoyed by people everywhere. So in five years, I hope that we've doubled or tripled or even quadrupled our impact — particularly in terms of incomes generated, farmers working, ecosystems supported and enhanced, and all the community development projects we're supporting through Runa Foundation. To make that happen through our model, we want to be well-recognized brand that provides a boost of clean energy for millions of people. I think the biggest thing all entrepreneurs, especially the ones looking to go global, need to think about is "what am I really adding?" A lot of people just want to start something of their own. I definitely understand that intention, and it speaks a lot to someone's drive, initiative, and desire to better the world. But you shouldn't start something unless it's something you're positive the world — or communities, or countries, or whatever — needs. Don't just make something because you think you can do it. Make something because you think people will love it and because you'll make a meaningful contribution to people's lives. The story of Runa in photos. 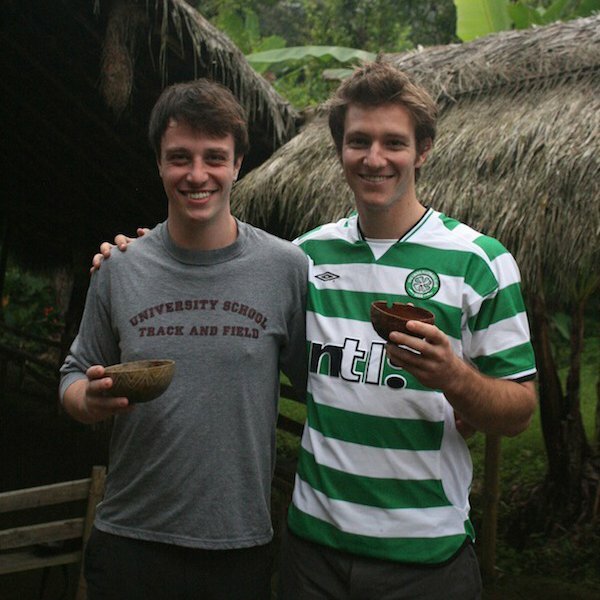 Dan MacCombie and Tyler Gage, co-founders of Runa, drinking guayusa in the Amazon. Tyler and Dan with the finished product in the United States. 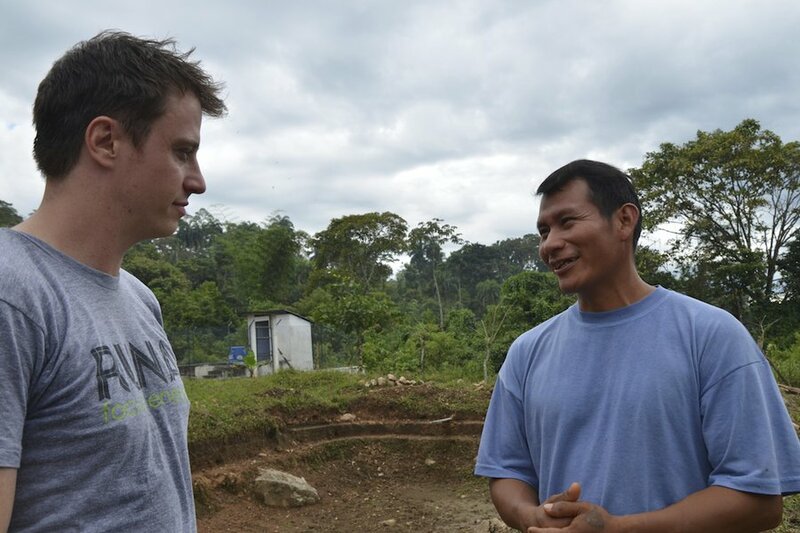 Dan working with one of Runa's indigenous farmers in Tena. A view of the area where Runa works. On the strees in town. 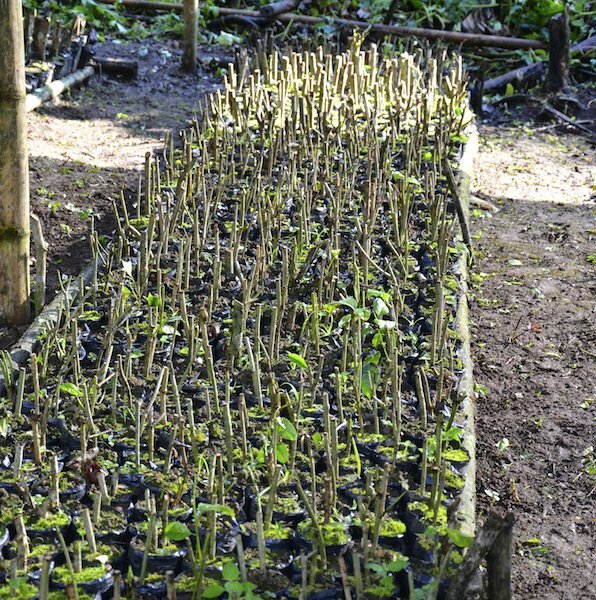 Cuttings taken from branches are planted in rich soil and placed under the shade of other trees and shrubs to grow. 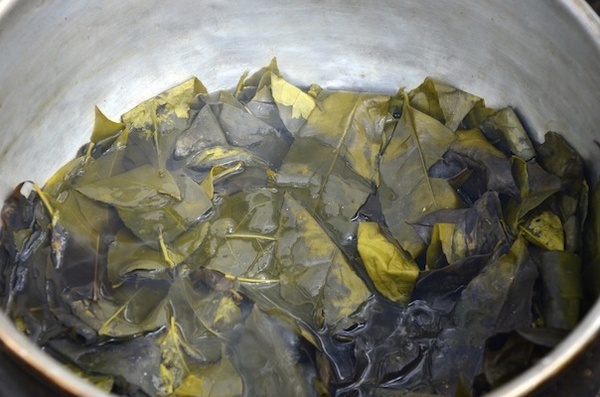 Guayusa leaves boiling in water. Once brewed, the tea offers clean energy, with as much caffeine as one cup of coffee with twice the antioxidants of green tea. The ritual is the same: Families drink tea early in the morning, telling stories and talking about plans for the day. 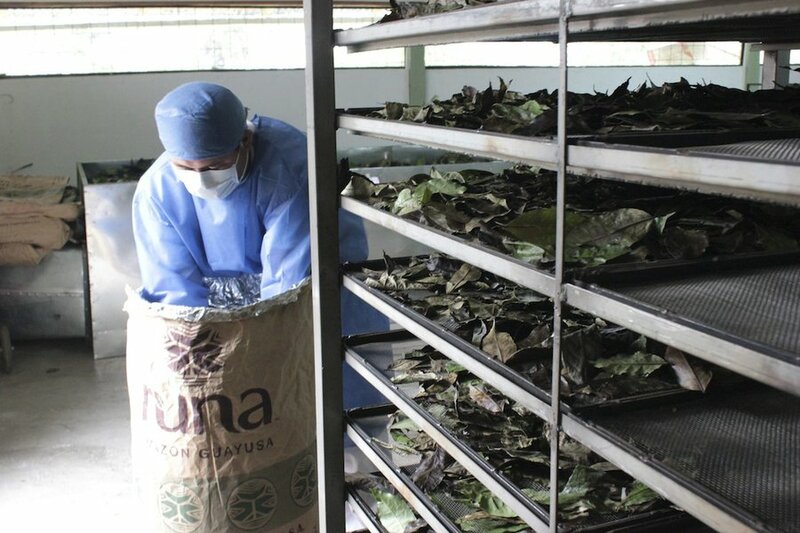 After guayusa leaves are dried, milled, sifted, and packed in sacks, they are shipped from Ecuador to the United States. Because everyone drinks the tea together in the early morning, large amounts are brewed at once. 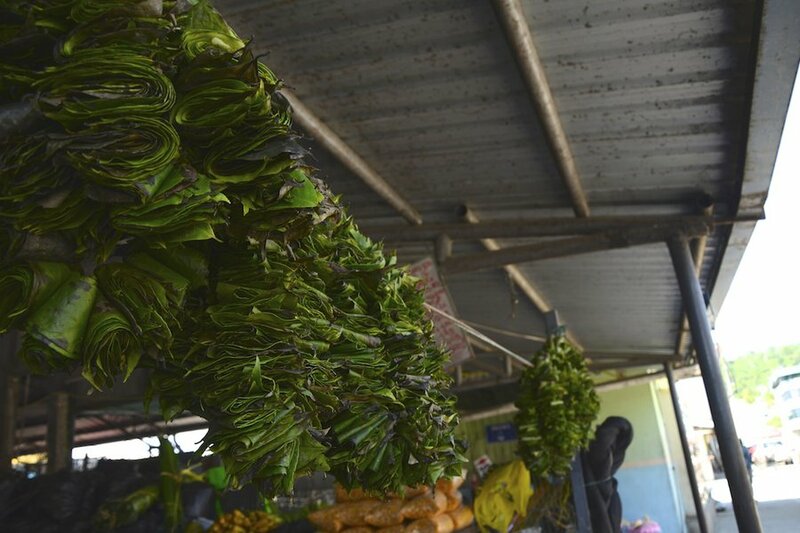 Runa purchases leaves from the famers they work with. From there, they're dried and milled at processing facility in the small jungle town of Archidona, in the Napo Province of the Ecuadorian Amazon. Collecting leaves from the guayasa plants is part of the harvesting process. A little girl looks out a window in Ecuador. Last looks of the city. Shade helps develop the richness of the leaves. The traditional tea ceremony takes place in a very traditional place. Dan is a wayfarer and Co-Founder and Co-CEO of Runa, an amazonian beverage company and social enterprise. You can follow him on Facebook, Twitter, and Instagram. He travels for the food, the landscape, and the sheer joy of exploration.